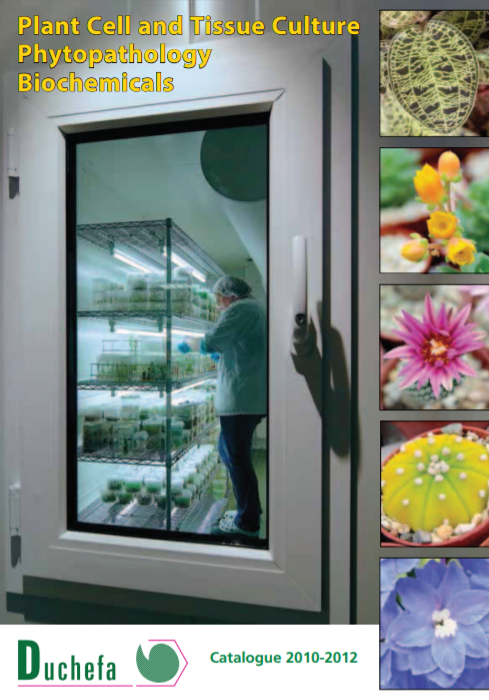 Welcome to our Plant Tissue Culture product portfolio. We offer a whole range of plant tissue culture media, biochemicals, containers, bioreactors and a lot of other products needed for micro-propagation. All media are produced by Duchefa Biochemie B.V. and custom made media are produced for many customers. Being at your service to discuss special needs and quantities remains one of our hallmarks. Duchefa Biochemie B.V., maintains quality standards in their state-of-the-art clean rooms, strictly controlled by their in-house quality department, headed by a pharmacist. Since the quality certificates granted to Duchefa are subject to audits at regular intervals you can be sure that we are in a continuous process of adapting to the lastest quality demands. As a manufacturer of powdered media Duchefa Biochemie B.V. has the ability to produce almost any medium desired. Many of our relations are using custom made media fitting to their own specific purposes, that are produced by Duchefa Biochemie B.V. Obviously, strict secrecy is guaranteed. If you are interested to have your own medium, please feel free to contact us.